Here’s to my first week back at work after the first three-week vacation I’ve ever taken. 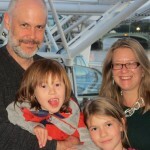 I visited Belgium, England, and Scotland, wrapping up the time with a four-day stay in London with my two girls. 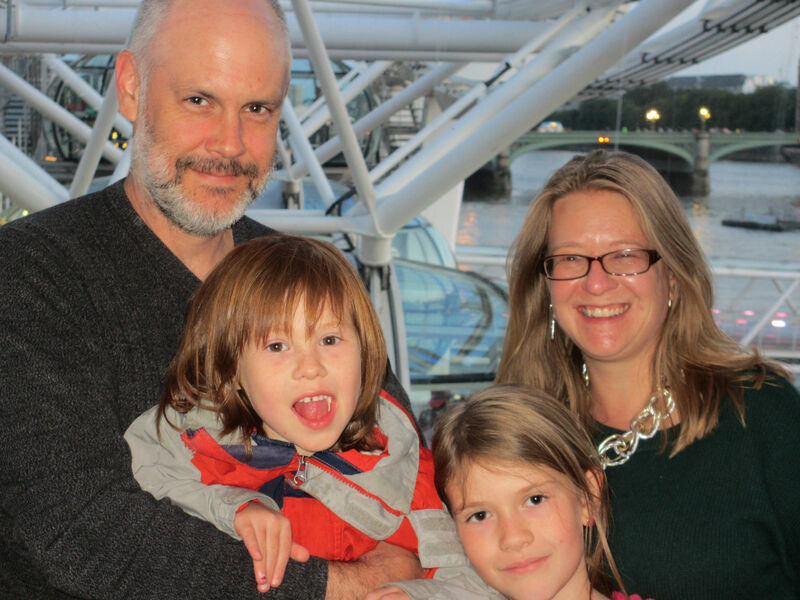 Here’s a photo of my family on the London Eye, which was expensive but worth the money. One of the highlights of the trip was the hiking around the Mull of Kintyre, which is the southwesternmost tip of the Kintyre Peninsula in southwest Scotland. Here’s a link to the 1977 Wings song by that name, which was one of the group’s biggest hits in Europe but never got much attention in the United States. After I got back, Elaine asked me how I managed a full three weeks away. I’ve already written about the plans and some of what I saw (See How To Take A Week Off), but haven’t really touched on one of the toughest parts of the freelance life: negotiating with your family. These are my tips for negotiating with families after this adventure. • Communicate. In retrospect, I wish I’d been clearer with my husband ahead of time that I’d been working a couple of hours a day on weeks two and three. • Set expectations low. It’s probably wise to be more pessimistic (ie, “The workload is likely to be heavy”) than optimistic (“I won’t have to work much.”). • Make sure there is a working Internet everywhere you stay. The most significant problem on the vacation came when we were in the West Hebrides, and the cottage where we stayed didn’t have Internet access. That meant that I needed to travel to the nearest town to get a connection. • Work in the early mornings. At least when you’re traveling with kids, the early mornings versus the nights seem a better choice — after a long day of touring, you’re less likely to have the mental energy to get things done efficiently.